Update 8/7/18 @ 12:10 a.m. - The fire is 100% contained to 35 acres. Update 6:44 p.m. - The fire is 35 acres and 75% contained. Update 5:30 p.m. The fire is holding at 15 acres and is now 50% contained. Full containment expected later this evening. Update 4:00 p.m. Forward spread stopped. Fire is holding at 15 acres after mapping. No structures threatened and no evacuations. CAL FIRE/Riverside County Firefighters with assistance by Corona FD is on scene of a wildland fire in Temescal Valley near Terramor Road and Temescal Canyon Road. The fire is currently 35 acres burning in light, flashy fuels. Updates will be posted as information becomes available. Pretty sure I am seeing the header of the #TerraFire from Scripps La Jolla. Looking northeast up the 5. 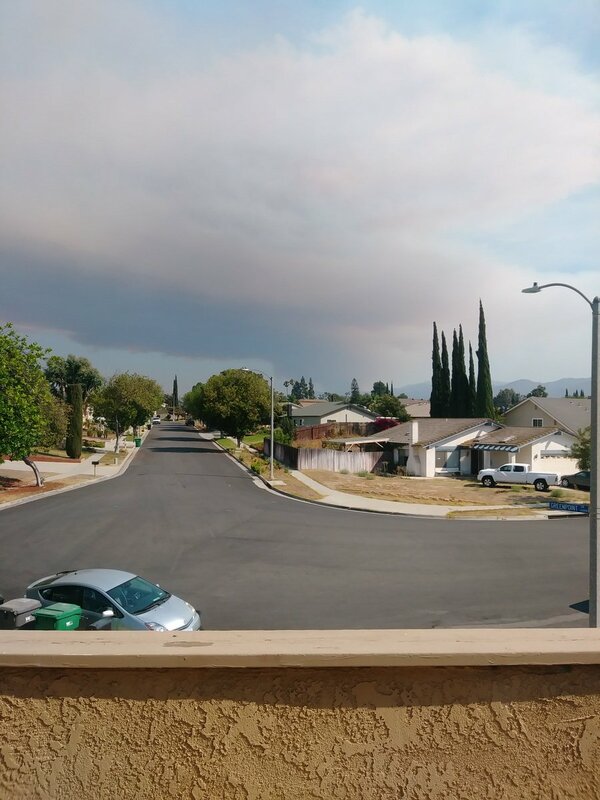 #TerraFire view from moreno valley! 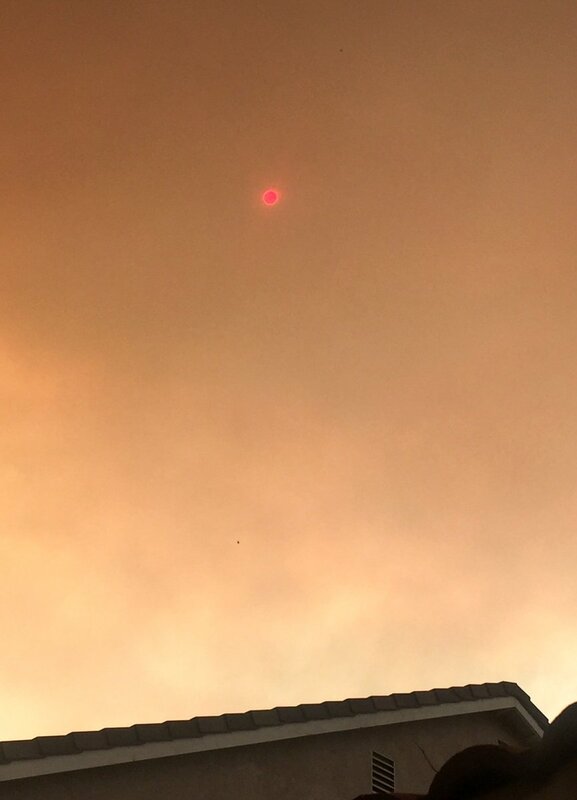 #terrafire turned the sun orange and red. We are in a cloud of darkness in Wildrose.